I get a few emails from veterans every week. I shared one last week, and here’s another one I just had to share. NOW do you know why researching novels is one of my favorite things to do? I get to meet amazing men like Marion! For the last sixty-three years, July has been a special month in my life. As was the custom when you get to be twenty-one, you escaped the family connection and could venture out on your own to seek what the future may hold. Being an upcoming farm boy, I could have avoided WWII, to be a farmer. When it became my turn, I had a proposition for my father to run the farm. With the war (WWII) into its third year, the cards were in my father’s favor. He would not accept my proposition. I had no money, therefore, I could not afford to go into farming on my own. The banks would loan money for 4% interest. Bernita and I were engaged to be married, but I couldn’t afford that either. It was my choice, rather than be drafted, I would volunteer on my own to go into the military. In the spring of 1943, Bernita had graduated from High School and, not being able to pursue a job of her liking, had to go into war production. She had to travel 60 miles to Evansville, Indiana get an apartment and go to work. Even though we were engaged I did not feel it fair to tie her down to our commitment. I told her I may not come back from this war alive. And I almost didn’t. In the next two years and one month, I went through military training, combat, Missing in Action (MIA) for three months, POW incarceration for four months. This included surviving starvation, cold, no shelter, and a forced march 345 miles across Germany. We fought, we prayed, we sweat, we bled, we nearly died. (Many did die). I take pride. I am proud to have served my country, to defend the Liberty, Independence and Freedom we enjoy. I came home on June 14, 1945. The first thing I did was go to see Bernita. I ask her if we could continue where we left off. She said, “Yes, I waited for you.” Within a month, on July 6, 1945, we were married. Also, on July 8, 2006 I celebrated my 84th birthday. Our daughter Sheila was born on July 18, 1947. Now you see why July is an important month in my life. 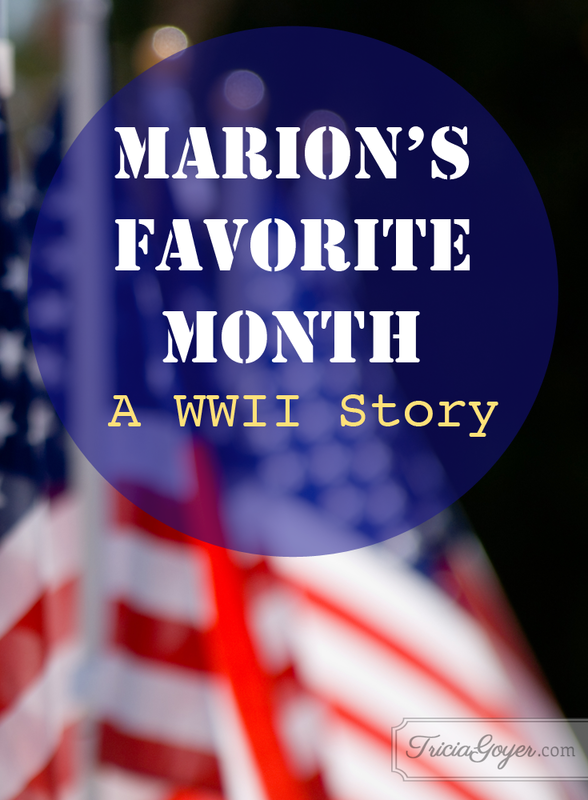 @TriciaGoyer shares a veteran’s WWII story on her blog!